You’d think that last year’s garden building extravaganza would have tuckered my siblings out, and that all they’d want to do this year is hang out in the palatial 6,400 square foot garden with an adult beverage or two. 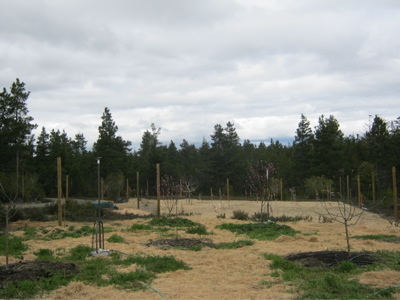 Instead, they decided to build an orchard next to the garden. I “helped” by digging the last two holes. One was way too deep and other wasn’t wide enough. 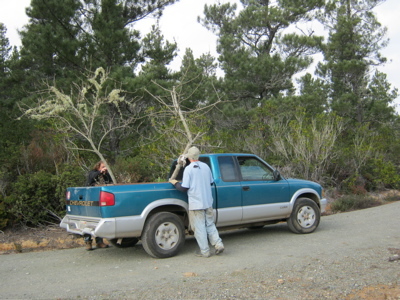 They also installed a drip system, since hand watering 19 trees is too onerous a task, even for them. It’s been deer- and rabbit-fenced, but it will have to be electrified at some point to discourage marauding bears from raiding the fruit. Whenever I hear Bruce Springsteen sing “Working on a Dream”, I think of my hard-working siblings and the dream they are making into reality. Everyone dreams of things or places they would like to own or win but for most it is only through hard work, dedication and love that brings results as your siblings are showing all who can see the progress of their work. Wow! this is going to be wonderful. 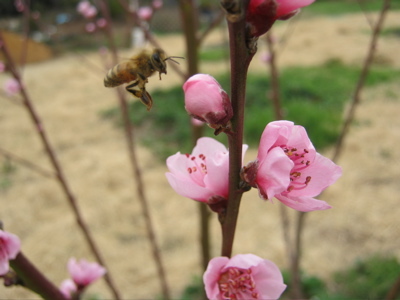 Love the photo of the blossom with the bee….What a lot of hard work, but it sure will be so satisfying when it is finished and a few years down the road. Glad you are taking so many photos. Where do you all get so much energy? !!!! When you say “helped” do you mean you were able to drive the digger? Nice shot of the bee! 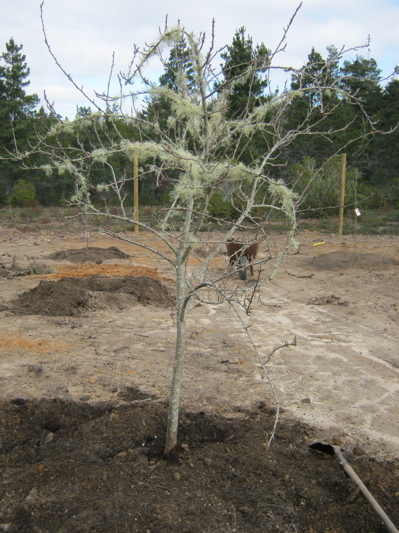 We dug the holes for the trees by hand (or by shovel). The machinery roots out the scrubby bushes, etc. first. 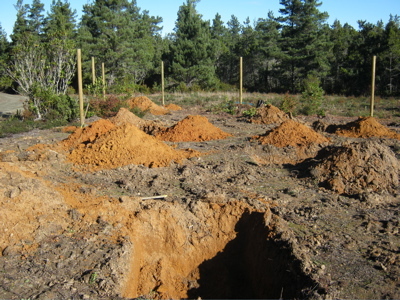 Then we dig holes after the good dirt has been laid over the dug-up ground. It’s quite the process. Also – literally the only thing I did was dig the two holes. 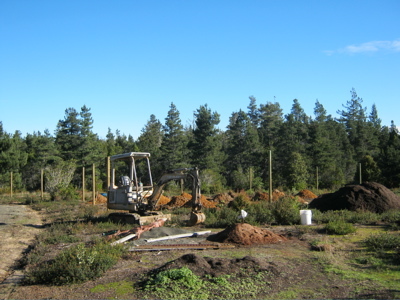 The boys and Megan did everything else – including cementing in the fenceposts. My sister says that the garden is 13,000 square feet!! My mistake.